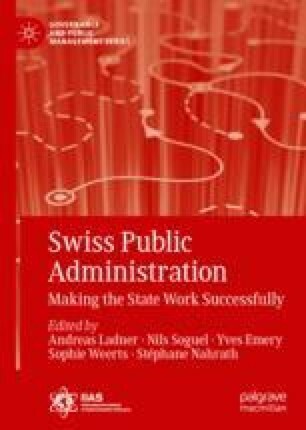 In Switzerland, the federal administration has developed expertise in the elaboration of federal laws. Such expertise has been gradually codified, first in specific guides and then in federal laws. After a chronological presentation of the different steps in the pre-parliamentary phase, the chapter then discusses the limits to, and accessibility of, the numerous documents involved. The elaborate preliminary procedures supposedly increase the quality of the law and contribute to the gradual construction of a political consensus. Issues of vertical power are concealed behind these well-established procedures, and they are inversely proportional to the hierarchical position of the public officials in charge. Such power is also unequally distributed between the different offices.